People often ask us how we started this business and where the name comes from, so here is your answer ... Both Debby and Russell have been gardening since they were children. When Russell moved to Virginia to Join Debby in 2008, they decided to expand 'the garden'. By Spring of 2009 they has transformed much of their over half acre lawn to food production. 2009 was a transition year, and all of a sudden there was a rush of momentum; quite unexpectedly, behind them starting a gardening business. Meanwhile they had both read the book Not-Two Is Peace, by World Friend Adi Da, and agreed the wisdom in the book, was the most sound, lucid, social wisdom they had ever read. Russell exclaimed, "Finally something that could actually work !" Reading one of the concepts in the book gave Debby one of those 'Ah Ha !' moments. "Prior Unity" being already the case for all beings was the perfect description for how she has approached gardening her entire life. This was the impetus for the 'garden business' to truly happen. 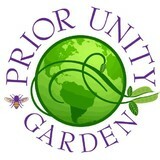 It was obvious to Debby that the name would be "Prior Unity Garden" - with one "N", because there really is only one garden, spread all over the earth. Debby & Russell's diverse background and skills blend wonderfully to create this vibrant business helping others grow their own organic food at home. 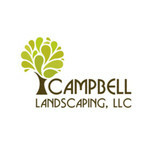 Campbell Landscaping was started by Taylor & Colby Campbell in 2009 as a small family owned lawn mowing company. After their first year they blossomed into a full-fledged landscaping and irrigation business. The primary focuses of Campbell Landscaping are, commercial landscaping, commercial irrigation, residential irrigation, maintenance of properties, and commercial snow removal. Taylor and Colby grew up in Northern Virginia and they both attended Herndon High School. They both played Football for Herndon High and always gave back to their communities anyway they could. Their love for nature stems from their family because they were very close and spent enormous amounts of time together. They went on many fishing, hiking, camping, and beach vacations growing up which shed light on their love for the outdoors. This passion and love for the outdoors became a reality for Taylor when he first started working in the landscaping industry after high school. After a few years in the industry he acquired his Landscape design degree. He loves the challenge of taking his customers ideas and turning them into a reality. Taylor’s primary focus is on the commercial side of the business, whether it is commercial landscape design or it is commercial maintenance of properties. Colby first got into the business working for a local Northern Virginia irrigation company. His unique knowledge and skill set in the commercial irrigation space far surpasses any in the Northern Virginia area. Not only does he focus on the commercial and residential irrigation side of Campbell Landscaping, outdoor lighting for patios is another specialty of his. Ensuring the client is happy and everything is done to their specifications is what Colby strives to do every job he handles. Serving Northern Virginia for over 28 years, Quality Lawn is a company you can trust. From mowing the lawn to cleaning up your leaves in the fall, we can help you with all of your lawn care needs. What makes us different - dependability, consistency, and competence to get the job done correctly the first (and every!) time. We help make your wishes come true. You can count on our experts with many years of experience, great ideas and wide-ranging expertise. Our scope of services is very broad and includes residential and commercial . We are a full service sprinkler and landscape lighting company, equipped to service the northern Virginia beltway area. 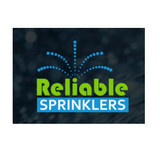 Our offering covers new installations of both sprinklers and landscape lights. We stand by our systems with continued maintenance and support to include the most important service of having your sprinkler system professionally winterized by our train professionals. Our new line of long life, energy efficient LED landscape lights requires less maintenance and will enhance any landscape. We can upgrade your current landscape lights to use LED bulbs and save you 80% on the energy usage while providing the same brightness! We still have many homeowners enjoying our lighting systems that were installed over 30 years ago! In addition to our current clients, we are happy to welcome new clients as well! We were established in 1985. When we started our business, we committed ourselves to providing a quality, personalized service. Our service includes: Complete Turf Care Program Seeding and Aeration Fertilization Weed & Insect Control Customized lawn renovation Residential & Commercial Applications Our customer service personnel are available during normal business hours, and our automated system will respond after hours. Our response to problems in lawn or shrub care is normally done within 48 hours. Since 1982, head of operations Gary Sharpe has been taking care of yards with care and precision around the Northern Virginia area. JWAB works with both residential and commercial properties providing the utmost attention to detail for the most aesthetically pleasing results. With the help of a knowledgeable staff JWAB can maintain your yard or office space. Superior Sprinkler Systems is a family owned and operated business located in Loudoun County, Virginia. We specialize in the design, installation and maintenance of automatic underground irrigation systems and low voltage landscape lighting. We service residential and commercial systems and have been serving the Northern Virginia region since 1991. At Superior, we are proud supporters of school, sports, and community programs. We strive to maintain lifelong relationships with our customers by providing the highest standard of customer care. We continue to build our business on the trust and integrity that we have established with our customers from day one. Good's Lawn Care of New Holland, PA is a fully licensed business offering residential and commercial lawn solutions including lawn mowing, fertilizing, bush trimming, mulching, and more – all at competitive rates. We have been proudly serving the area for 10 years now, giving us not only experience but expertise as well. Expect friendly services, prompt lawn solutions, and satisfaction because we believe you deserve nothing less. Let us add you to our list of happy customers. Pro-Mow has been serving the Northern Virginia area for over 25 years. We are a family owned and operated business and proud supporters of school, sports, and community programs. At Pro-Mow, we strive to maintain lifelong relationships with our customers by providing the highest standard of customer care. We continue to build our business on the trust and integrity that we have established with our customers from day one. R. T. Turf delivers quality lawn service to your Townhouse!! Ever get the feeling that you are not important because you live in a small townhouse? Well at R. T. Turf it is all we do. We promise to give you the special attention your landscape deserves. Punctual, Dependable , and Creative lawn care, all at a great price! 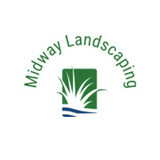 Lawn and Irrigation specialist in the Springfield area. BioTurf, Inc. serving Virginia, Maryland and Washington DC, has been providing quality lawn and irrigation service for nearly 20 years. We are a year-round lawn service company committed to keeping your lawn maintained in a healthy and weed-free condition. BioTurf employs several teams of lawn care experts available for your residential or commercial lawn care needs, and we have certified pesticide technicians and applicators. We offer a variety of lawn care services that will fit your need and budget. Give us a call today for a free estimate! 703-961-9701 A member in good standing of the Better Business Bureau (A+ rating) and rated on Angie's List (also A+ rating!). Check out what others say about us! You'll be pleased with our services! Our customers are! National Turf Service was established in 1970. Locally owned and operated in Northern Virginia and is the oldest lawn care company in the area. Our owner takes great pride in our program that was designed by agronomists at Virginia Tech & University of Maryland and insures that each proposal is customized for each individual homeowners needs.